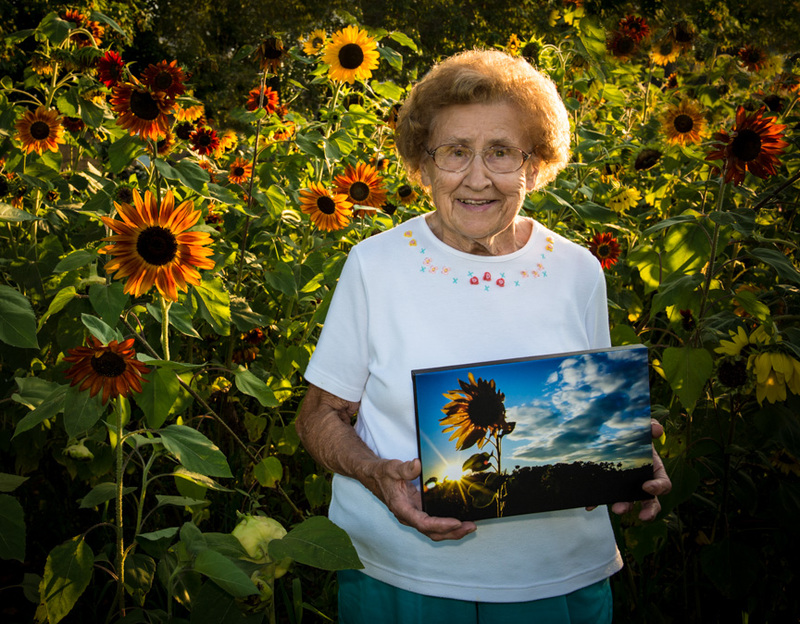 A couple years ago, a colleague of mine asked if I would capture a sunflower photo that she could display in her home. I tried once or twice, but was never entirely happy with my efforts. I had this "assignment" rolling around in my noggin for a year or more. Then one day I discovered a beautiful sunflower garden owned and lovingly cared for by this beautiful lady. Thank you, Mrs. Biver, for the gift of your garden. I hope you know that you brighten the lives of hundreds of people every single day as they drive by your treasure.